Grottino Beach Inn, the finest accommodation and restaurant located ideally in Patong beach. Providing 50 meters to the beach amidst a maximum privacy staying with the best service atmosphere. 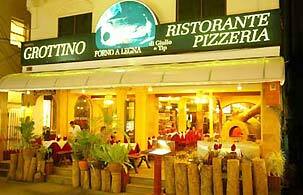 At our restaurant, we array the delicious in Italian and Thai style. Take a sip a wide selection of beverages with your friend or your family. Choose Grottino Beach Inn, the most convenient accommodation with the delectable restaurant in the heart of Patong beach.